I love using titles to tell part of the story of my photos, I find it adds a special touch. 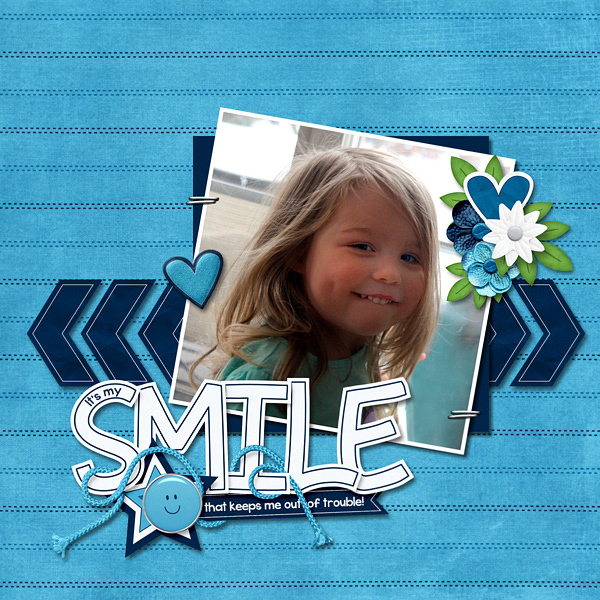 So for this month's challenge you will need to create a layout using word art. 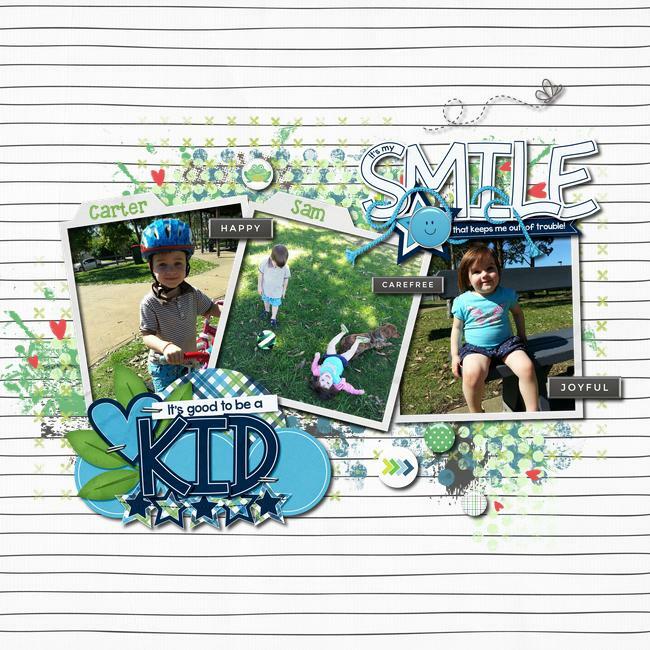 You must use one of the five title included in the Boyish Blue Word Art set (on sale this month 50% off) on your page to earn a June loyalty stamp. Please post your layout in this thread by June 30 and I will send you your loyalty club stamp for June. For all the Loyalty Club information please see visit this post to see how it all works. Fill up your stamp and you get $3.99 worth of product (your choice) for free! The word art in this kit is ADORABLE!!! Love it! Adorable layout!! She is so cute and so is the layout! I love this word art! 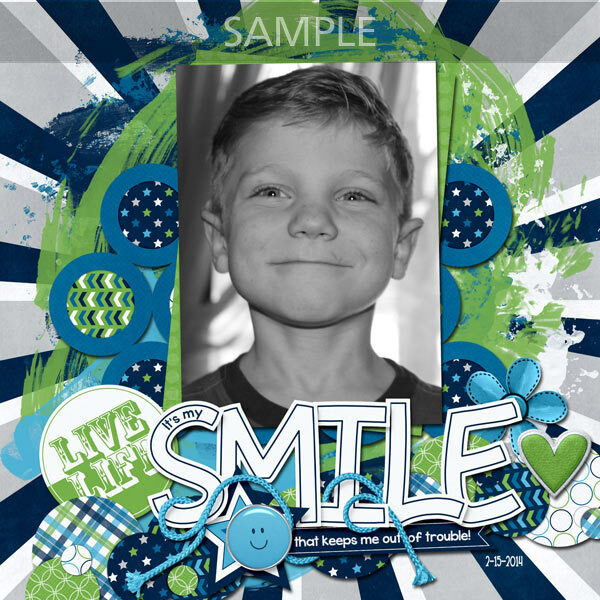 I used the kit Boyish Blue, which has become a favorite of mine when scrapping pictures of my son. Karyn - Love that you got two titles on the page, looks great with the three photos - one of each child and then both in the middle, perfect! SusyQ532 - Such a bright, fun layout. Love that border on the strip of blue with the title at the bottom. So glad you like the kit and are getting use out of it. Please check your PM, I sent everyone up to this point their loyalty stamps. Thanks for playing along. I love seeing what people create. His outfit matches the kit perfectly! So adorable, just makes me want to hug a baby. Still 19 days to get your layouts in. I am enjoying seeing what everyone creates! 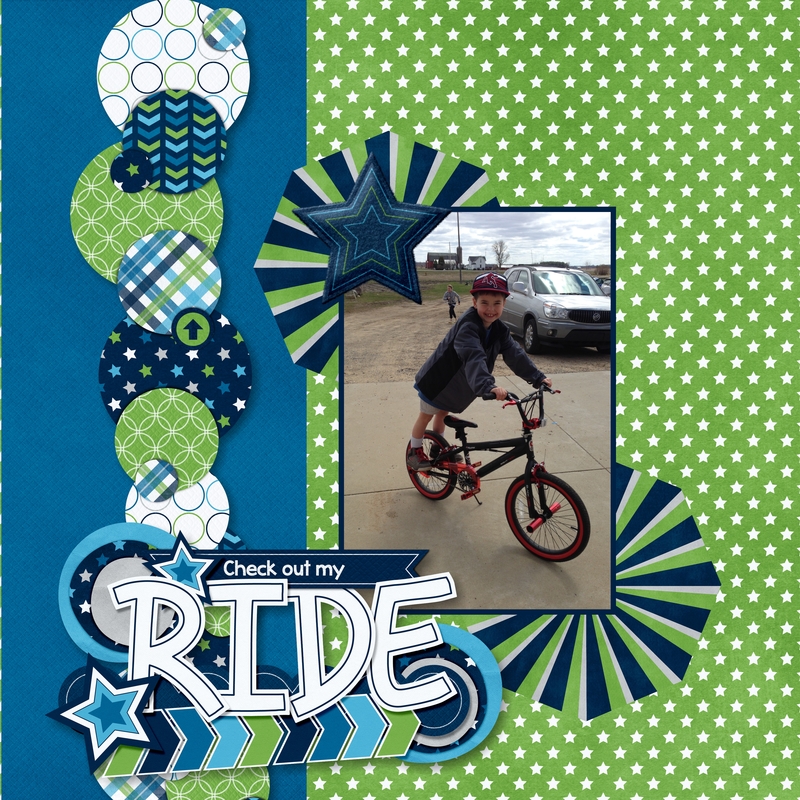 Thanks for sharing your layouts. 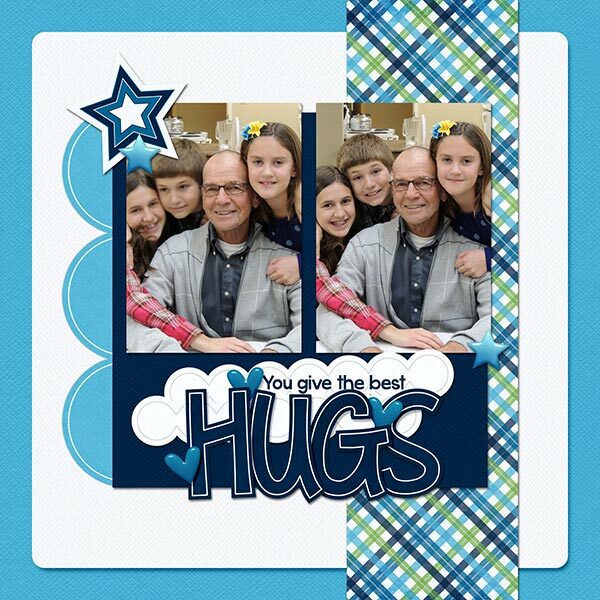 Tbear that is so cute, love the photo and the layout. Glad you were able to use the chat freebie. Love the added flowers to the word art, great idea. All that paint behind the photo looks great and what a perfect title for the photo.